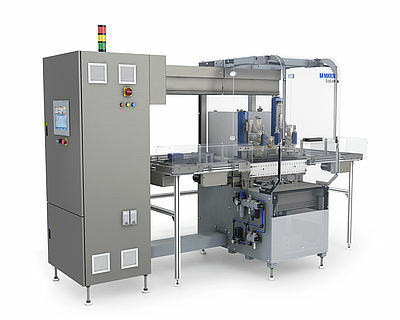 High-volume production solutions for assembled products you can hold in your hand. The Mikron G05™ linear assembly cell is based on the use of standardized building blocks which offer flexibility and modularity. 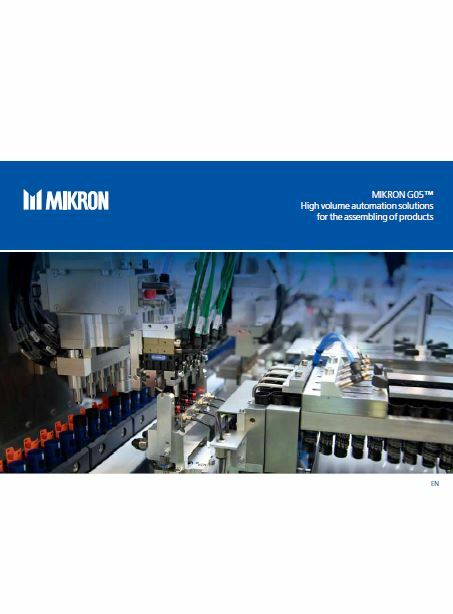 The proven and stable Mikron G05 platform ensures speed, precision and reliability of your automation solution.  The platform makes use of a cam drive for all primary motions, thus guaranteeing perfect synchronization between the working units and the pallet indexing system. Fixtured pallets enter the cell and are advanced and indexed in steps of 60, 120, 160, or 240 mm depending upon the model. Each assembly step is followed by a systematic check to ensure continuous and consistent quality. Multiple cells can be linked togetherallowing full layout flexibility. Improved accessibility for both operational and maintenance personnel is guaranteed as a result of the system's linear concept. The use of manual working stations, semi-automatic and fully automatic cells offers progressive investment from pilot line to fully automatic line.